Since its rebranding and relaunch, Tudor has had a lot of success. 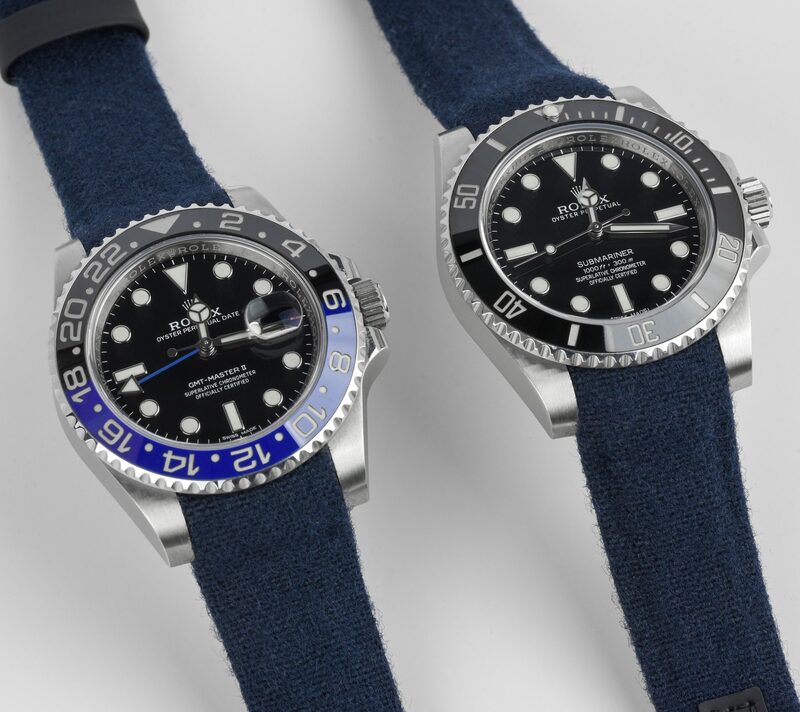 Tudor first gained traction with its heritage-inspired dive watch – the Heritage Black Bay, by taking inspiration from the Tudor and Rolex dive watches from the 50s and 60s, taking the most popular design elements that everyone has come to love. 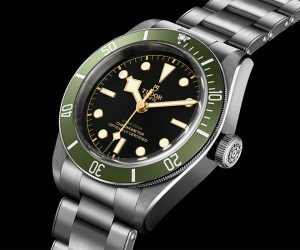 Since Tudor released its hugely successful Black Bay model in 2012, a lot has happened. 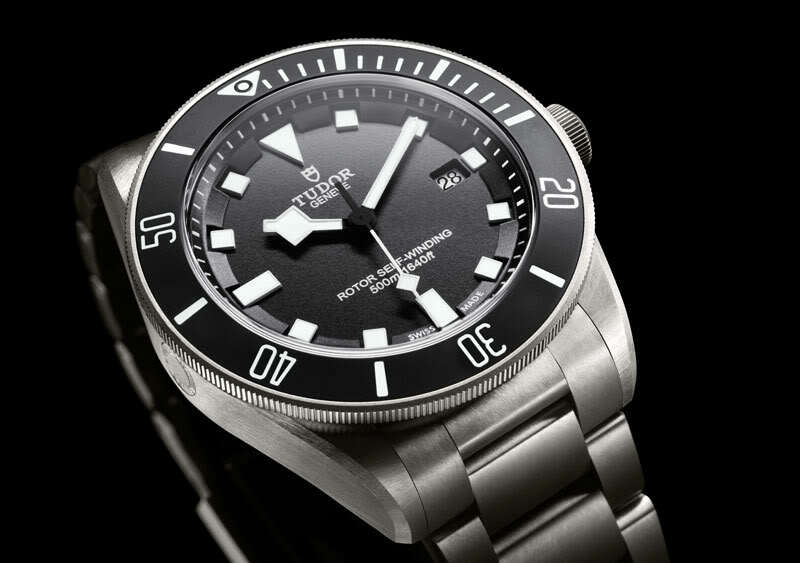 In 2012, Tudor introduced its Pelagos model. If the black Bay model can be considered a ”hobby diver” watch (although its 200-meter water resistance), the Pelagos is a full-on serious diver’s watch, featuring a whopping 500 meters of water-resistance. Unlike the Black Bay, the Pelagos is a new, modern interpretation of a serious dive watch, that only features a few, subtle references to Tudor’s past. The Pelagos also came to become a huge success in Tudor’s lineup of watches, but in 2015, Tudor felt like it was time to improve and introduce a new version of the Pelagos. As a result, Tudor introduced the 25600TN & 25600TB. With the new Pelagos release in 2015, Tudor did not only introduce a number of changes to the new watch, but they also introduced a brand new colorway to the Pelagos range. 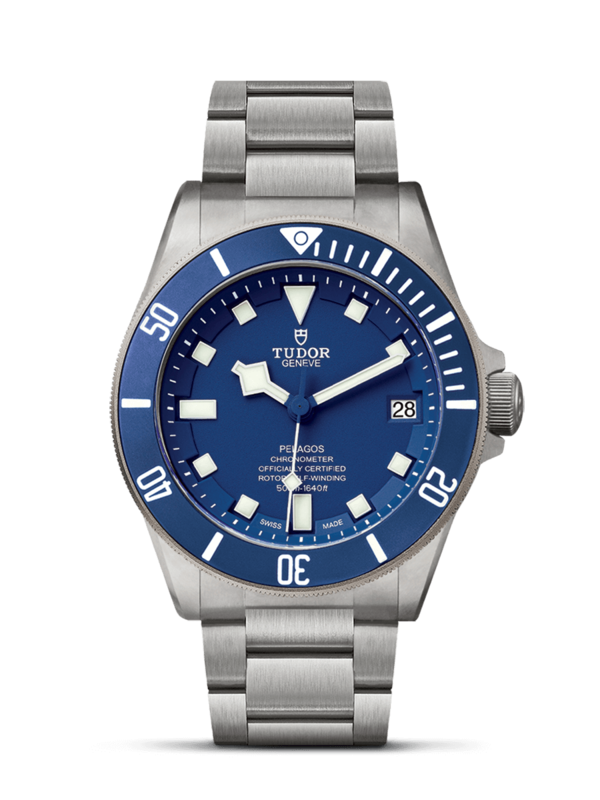 With the introduction of the Pelagos reference 25600, Tudor has both a blue and a black version available. In this article, we’re talking about the Tudor Pelagos in-house version, reference 25600 -which includes the 25600TN & 25600TB. 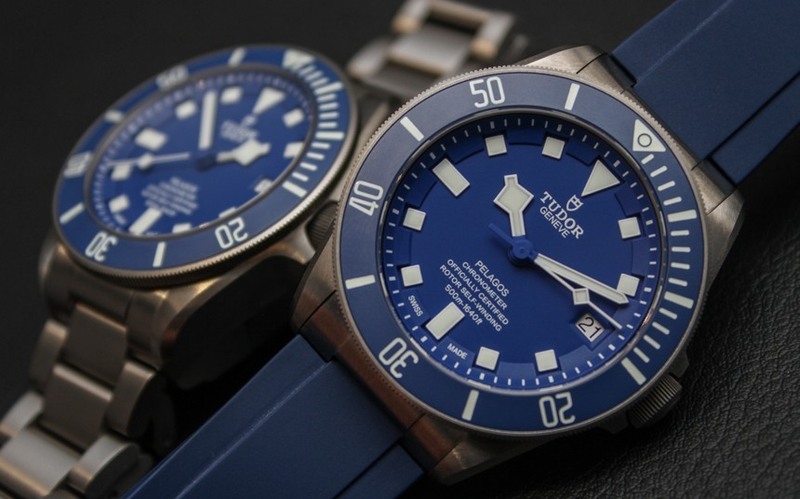 In 2015, Tudor introduced a number of big changes to the Pelagos model. 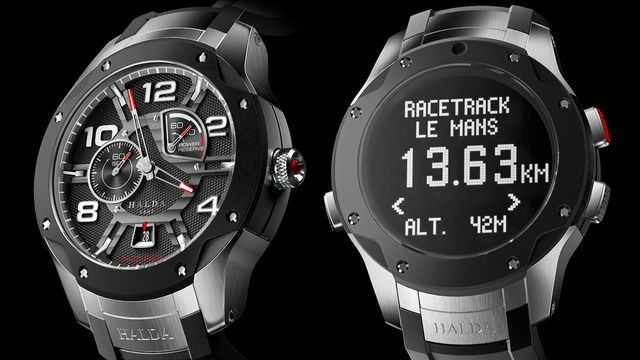 After having produced the watch between 2012 and 2015, it was time for an update to the model. The 25600TN & 25600T. This also took the Pelagos range from only consisting of one watch, to now two watches. The 25600TB has a blue color that certainly stands out. Black will always be black, and this is a color that you can always rely on, no matter when you wear your Pelagos. Even considering the fact that it is Tudor’s most serious tool watch. The blue color of the Pelagos really pops. Think blue skies, sandy beaches, and turquoise water. This is an environment when this watch works extremely well. But surprisingly, the blue Pelagos is quite versatile. The unique blue color is not something that you see every day on such serious tool watches, but that’s what makes it so interesting. Well, it’s completely up to you. If you’re looking for something a bit more fun and playful, the blue is definitely a safe be. However, if you want something a bit more toned town that works with everything and that is a little discrete, you can’t go wrong with the black one either. 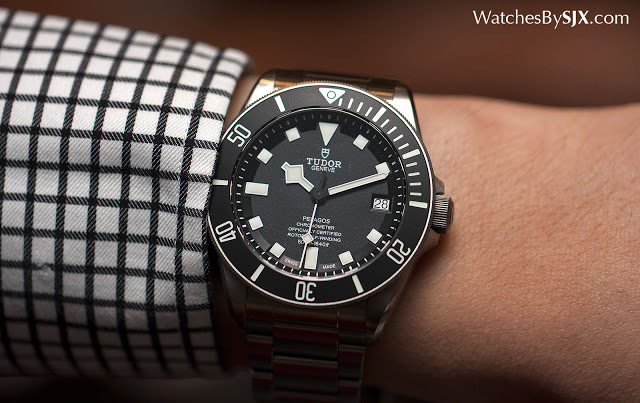 The Tudor Pelagos is unlike any other watch in Tudor’s collection of watches. 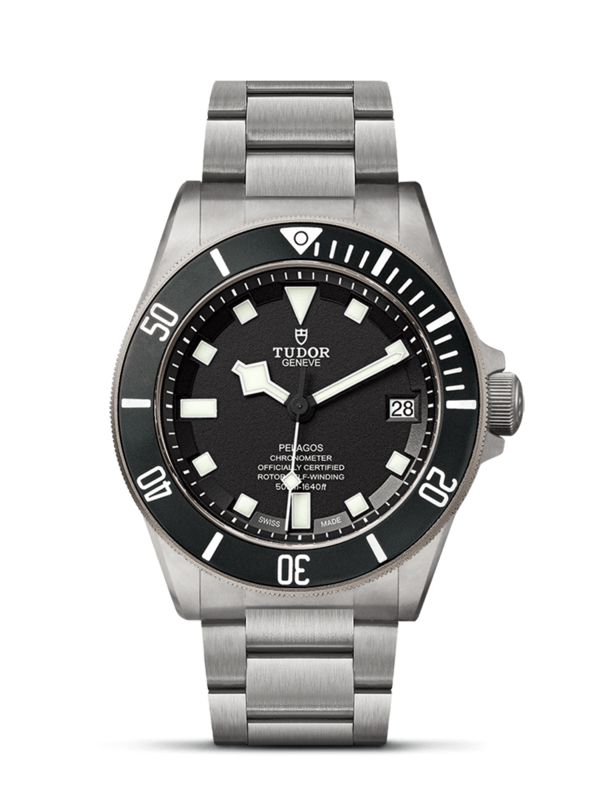 It is the most serious Tudor dive watch to date, and it compliments Tudor’s existing lineup of dive watches (mainly Black Bay). 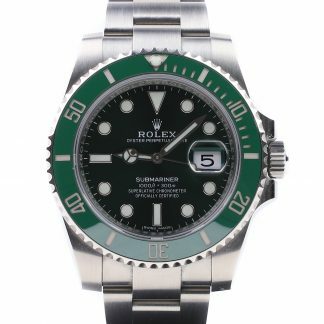 This is similar to how the Rolex Deep-sea Sea-Dweller is positioned to the Submariner. In other words, both the Black Bay and the Pelagos fill a purpose. Also, since Tudor and Rolex have (and have) a close relationship with each other, one might say that the Pelagos is inspired by, and a modern interpretation of, Rolex’s Sea-Dweller. The new Tudor Pelagos 25600 features a number of changes from the previous generation, 25500 Pelagos. These changes are both technical and visual. 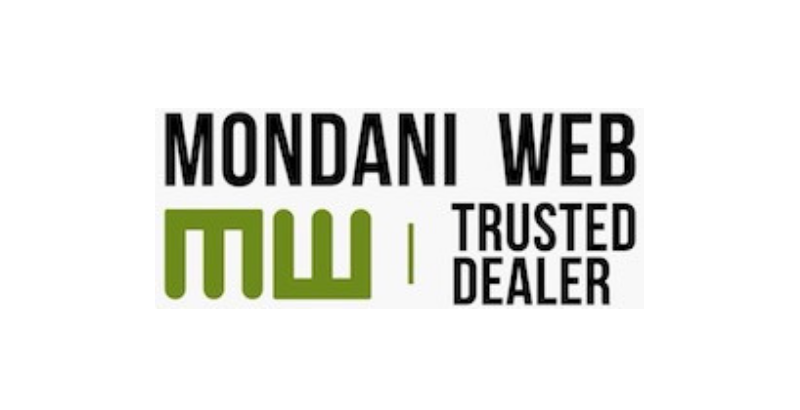 ”In-house movements certainly matter, especially in high-end watches. The reason is the exclusivity but also the fact that in-house movements can be an integral part of the watch’s design and characteristics. 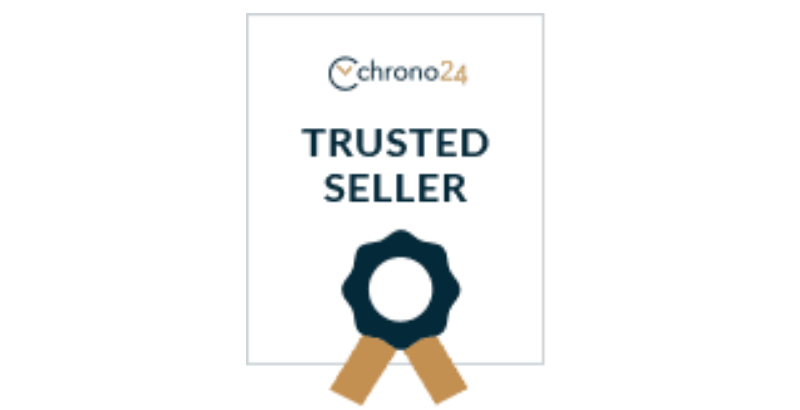 Another quote that suggests the importance of in-house movements is ”Some customers and collectors need to have in-house movements as proof of competence”. 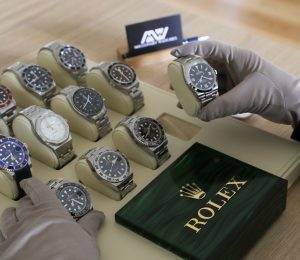 Also, since the Swatch Group/ETA started talking about limiting supply, many watch companies have developed their own movements, making them in-house. 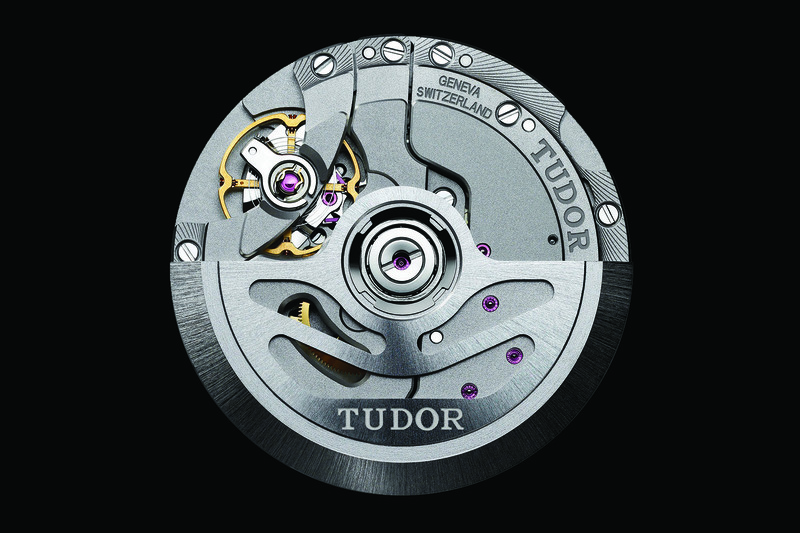 Tudor is one of them and has switched to in-house movements for a number of its watches. 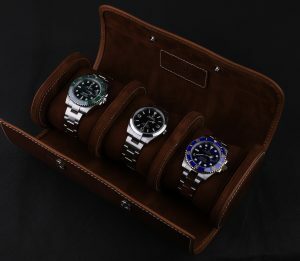 Tudor’s decision to move more towards in-house movements have several benefits, and the most important one is that it adds another value proposition to the product, and show that the brand is not like most other brands that outsource its movements. 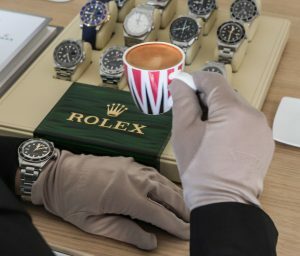 This has taken Tudor from being a watch brand to being a watch manufacturer, and this has huge importance and effect on brand image and reputation. Let’s look a little closer at the movement used in the Pelagos in-house. The first generation Pelagos is equipped with a Tudor modified ETA 2824-2 movement, so you can expect that when Tudor decides to develop an in-house movement for its Pelagos, it received a lot of eyeballs. The Pelagos in-house, which it is also called, is equipped with a caliber MT5612 – Tudor’s own manufacture movement. Both the blue and the black versions are equipped with this movement. This caliber features a 70-hour power reserve, a silicon hairspring, and is a chronometer certified (COSC). A unique characteristic about the 25600 Pelagos is that is made completely in titanium. There are, of course, several reasons for this. Titanium is extremely light, which means that it has very little weight on the wrist. Some people like to have a bit of weight, but there’s a clear benefit of having a low-weight watch, especially when it is meant to be used as a tool. Titanium is much lighter than steel, less toxic than steel, experiences lower amounts of thermal expansion than steel and has a higher melting point. Furthermore, titanium, especially matte, like the one used for the Pelagos, looks very sporty and industrial, which also helps emphasize what the Pelagos is all about. The case has a lovely satin finish with crisp undersides and beveled lugs in true Tudor fashion. The Pelagos case is all satin, unlike the Black Bay, which is both polished and satin, and this is because of the sporty nature of the watch, but also the characteristics of titanium. The Pelagos uses grade 5 Titanium, the highest grade (what else?). The case of the Pelagos 25600 is 42 mm. This is 1 mm bigger than the Black Bay model, so it is a hefty tool watch. At the same time, the weight makes it wear smaller than it actually is. The case is 14.3mm thick and 50mm lug to lug. In terms of thickness, the 25600 is slightly thicker than the previous generation in order to house the new movement. The Tudor Pelagos 25600 features Tudor’s iconic snowflake hands, known from Tudor’s dive watches from 1969 and onwards. This is one of few vintage-inspired elements of the Pelagos, that pay tribute to Tudor’s history. 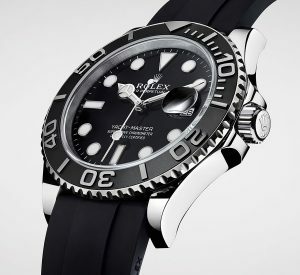 The snowflake hands are known to offer great legibility, and this is obviously a crucial trait of a serious dive watch. 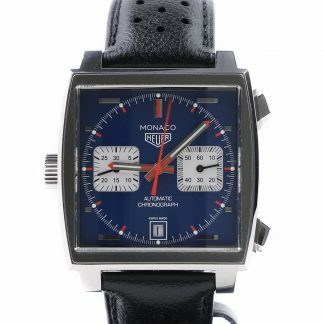 The hour hand has a square tip, and this allows the wearer to easily distinguish it from the minute hand. The bracelet of the Pelagos is a clever and impressive thing. 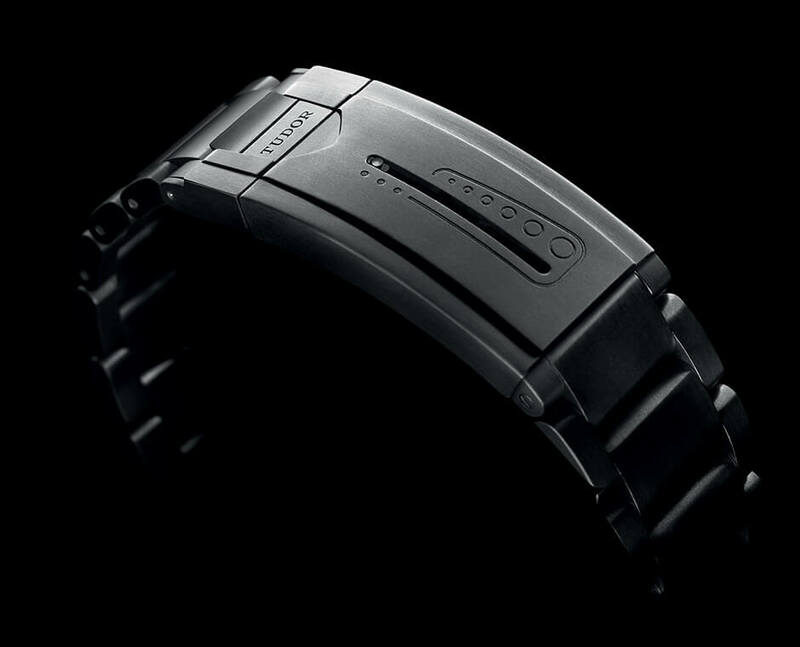 Just like the case of the watch, the bracelet is made in satin titanium. 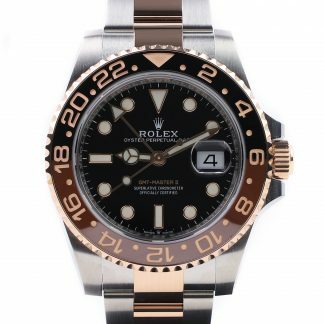 The bracelet is very similar to the bracelet of the Black Bay, with a three-link solution, but it is the clasp that separates it from a daily dive watch to a serious tool watch. The Pelagos has an auto-adjustable spring mechanism developed and patented by TUDOR inside the clasp of the bracelet. This system allows the bracelet to be adjusted during the dive while wearing the Tudor Pelagos on a wetsuit sleeve. The system contracts when it is compressed at greater depths and expands when the pressure decreases again during the diver’s return to the surface. The Pelagos also comes with an additional rubber strap and an additional extension system that makes it easily adjustable for all diving conditions. The bracelet also allows the wearer to select one of three micro positions on the clasp without the use of a tool. Lastly, the clasp also has a discreet folding dive extension with the text ”push” on it, which will allow use with thicker wetsuits. All of these features together make this a very clever dive clasp. 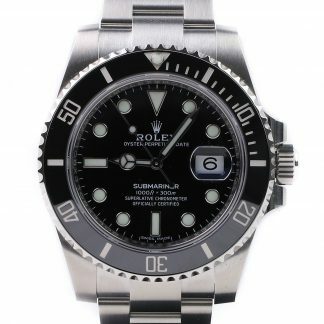 The bracelet is actually very comfortable, and if you’ve tried the bracelet of the Black Bay, the bracelet of the Pelagos will feel very familiar. In other words, very comfortable. The Tudor Pelagos 25600 has a water-resistance of 500 meters. In order to offer this type of water-resistance, the Pelagos is equipped with a helium escape valve. This is an essential device for preserving the watch during so-called “saturation” dives. The helium atom is the smallest gas particle in existence, and after a certain amount of time, it can penetrate the interior of the watch despite its waterproofness. This is why a helium escape valve is necessary when diving on such depths, as it allows the gas to escape freely from the watch without damaging it, thus protecting it from overpressure. The Pelagos is a serious dive watch, and from a serious dive watch, you expect great legibility. We’ve already talked about the snowflake hands, but the indices of the watch also offer great legibility. The watch has square (snowflake) indices which allow for great legibility. Both the Black and the blue are equipped with white indices, which contrast the blue and the black very well. The lume on the watch is amazing. It is strong and does not die after a few minutes like many other watches, but instead, it keeps on glowing. This is important if you’re taking it diving for a longer period of time in extreme conditions of low visibility. The bezel has a coin-edge that offer great grip. This allows you to operate the bezel even if you’re using diving gloves. This edge is also slightly wider than the case which further improves the grip. The titanium bezel is equipped with a ceramic disc. The bezel is a unidirectional rotating bezel, and a great additional feature of this watch is that even the bezel has luminous markers that allow the wearer to read the bezel information even in conditions with poor legibility. Not just the 12 o’clock marker which most other dive watches have. The biggest difference you’ll notice between the 25500 and the 25600 is the lines of text printed on the dial. I’ll go more into detail about these lines of text, but let’s just say that they have sparked quite a lot of debate and discussion. The 2012 Pelagos (first generation) has two lines of text printed on the dial but the new generation Pelagos has five lines of text printed on the dial. On the dial, you’ll also find a date window at 3 o’clock. The previous model had a small part of the hour marker at 3 o’clock still visible next to the date aperture, but on the new version, this lame dot is removed. The caseback is also engraved on the new Pelagos. 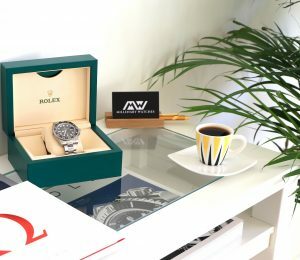 Engraved, you’ll find the new in-house manufactured caliber number (MT5612), Bt in the middle of the case back, you also have room for a personal engraving, shall you wish to have such. 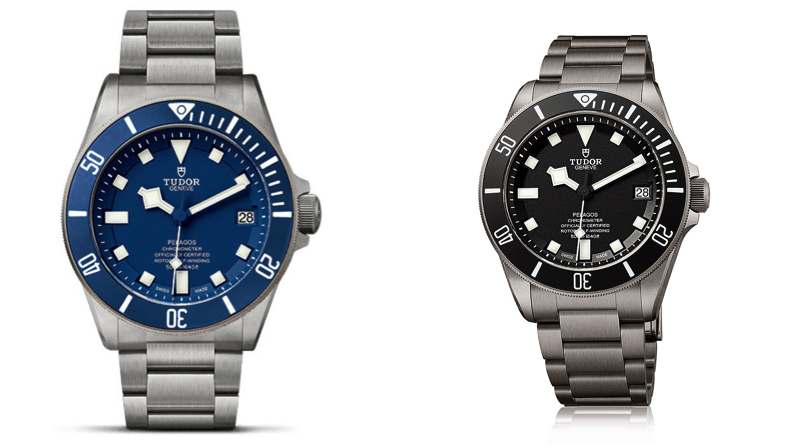 Tudor Pelagos: New or old? Since Tudor released the new Pelagos 25600, there has been a lot of debate about whether you should get the old or the new Pelagos. But the fact is that the debate can only go for the black versions since the blue variant is only available as the new reference. 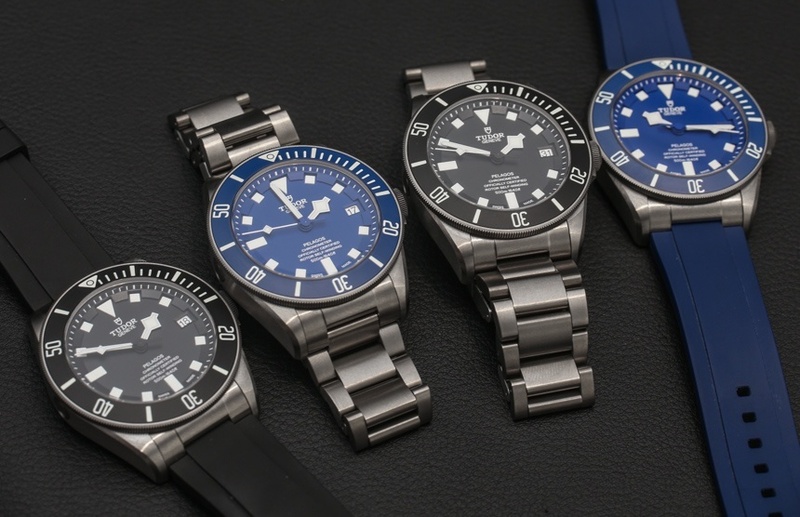 In other words, if you prefer the blue Pelagos over the black, you only have the in-house version to choose from. But when we come to the black version, it gets a little trickier. The general assumption is always that newer is better, however, if you listen to a lot of opinions out there, you’ll see that some people don’t seem to agree on this when it comes to the Tudor Pelagos 25600TN. However, when looking at the 25500TN and the 25600TN, there’s a lot of debate about the added lines of text. Some people don’t mind the added lines of text, especially considering that the new watch has an in-house movement. Many purists, however, see more advantages in the older version. It’s easy to understand the problem people have with the added lines of text because there’s no denying that the watch is much less clean and much more cluttered. At the same time, some people pay much more attention to the movement of the watch, and therefore, will naturally opt for the in-house Pelagos. And it also makes sense that Tudor is proud of its in-house movement, so why wouldn’t they want to flaunt on the watch’s dial? The Pelagos 25600TB and Pelagos 25600TN are watches that offer great bang for the buck. It’s a high-quality watch that feels solid, has no rattle the way cheaper watches have, it features lots of cool techs, and most importantly, an in-house movement. If you’re looking for a sporty, robust diver that works for many occasions, the Pelagos is a great candidate. 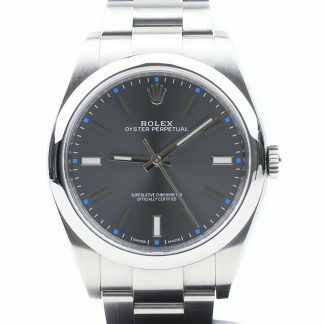 And despite the fact that the in-house movement version has an in-house movement, the retail price only differs a few hundred euros. Furthermore, when you compare serious div watches like the Pelagos with other watches out there, you’ll find that very few actually have an in-house movement. This is why, in this category, the competition is fairly slim. 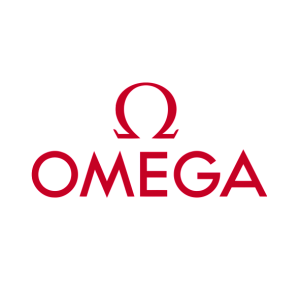 Previous post: Breitling VS Omega : Which is Better?